The bar for DLC ripoffs has just been raised. We can all think of DLC that seems like a complete ripoff, from overpriced expansions to Oblivion’s infamous horse armor. However Hadean Lands might take the grade price when it comes to DLC ripoffs. A new item just arrived on Hadean Lands’ Steam page for £26.99 – a PDF certificate promising that the player will finish the game without using a walkthrough. No, seriously. I’m not making that up. 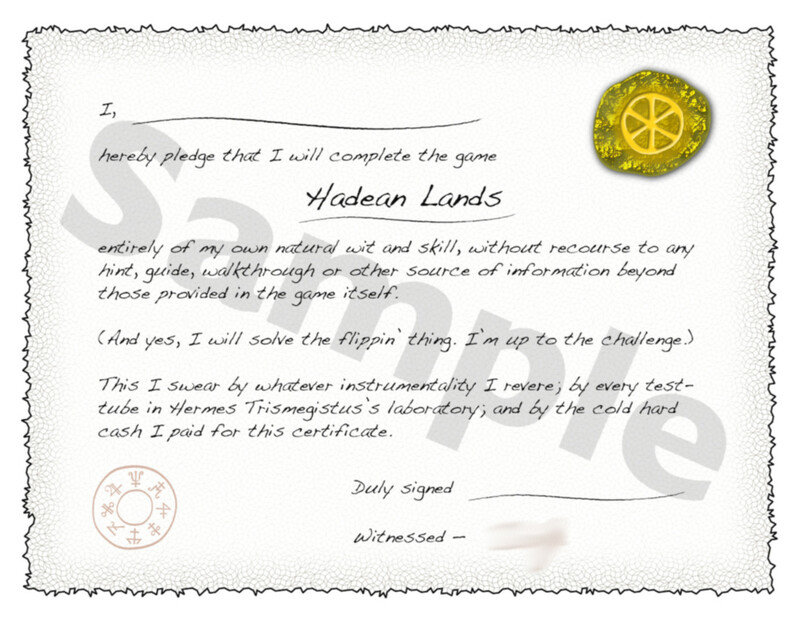 Hadean Lands is a text-based adventure game that emphasizes alchemy, exploration, and limited resources, which means it’s understandably difficult to complete. But instead of offering a walkthrough, the developer published this certificate in exchange for real-world money, despite literally being a PDF you can print and hang on your wall. Hell, you could do that right now with the above image. Joke or not, Hadean Lands’ developer is standing by it in a new FAQ, posted below. 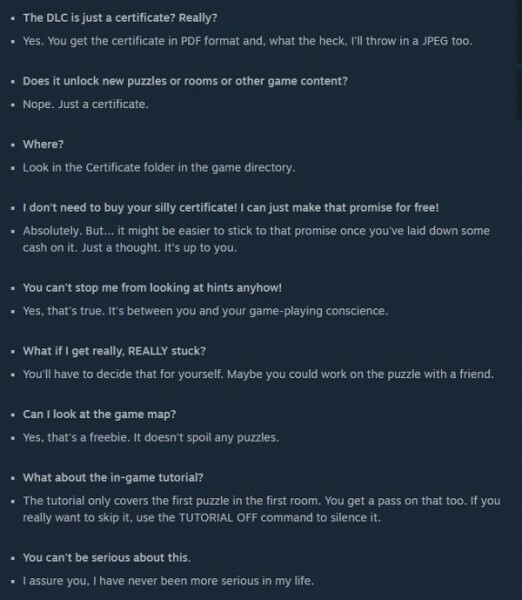 I sincerely hope this is a joke which draws attention to Hadean Lands – the core game itself was well-received at launch – that will quickly be refunded and reduced in price. To free. 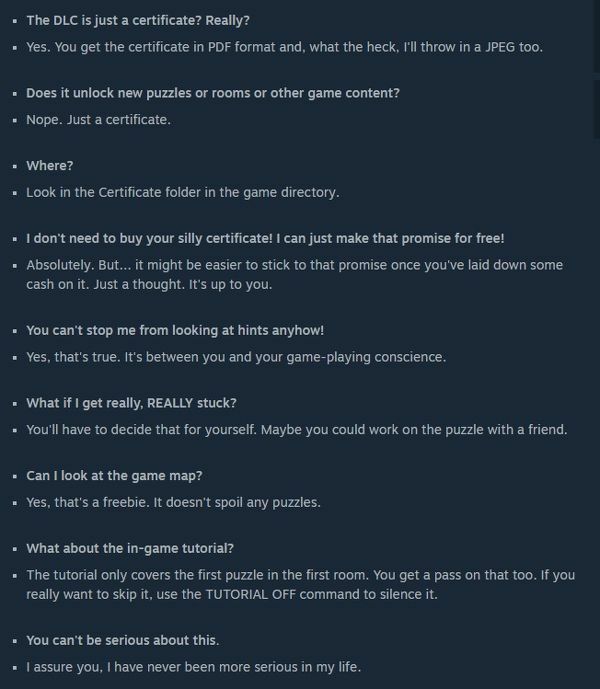 Because if this £27 DLC isn’t a joke – I have no words.